Teen Central has been revamped with a fresh coat of paint, updated furniture, and efficient, modern lighting fixtures that promote a better environment for reading, working, and gathering. Charging stations are also available for those who utilize portable devices while at the library. 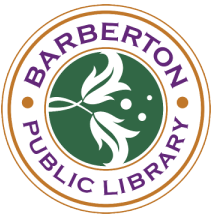 Many thanks to the Barberton Community Foundation for a supporting grant and the Friends of the Barberton Public Library for their donation. Additional thanks go out to the Barberton community for their support during our 2017 fundraiser, which raised additional funding for the project. Stop by and let us know what you think of the update! A memorial donation may be made to commemorate any special occasion such as the birth of a child or to honor the life of a special person. Memorial book plates are placed on items to commemorate the gift. A will or trust may designate a particular gift to the library. Such contributions can take the form of money, stocks, bonds, real estate or other types of assets. It is also possible to give a percentage or excess of your estate, after all the other terms of the will or trust have been satisfied. We are happy to work with you to determine the best way to manage your gift. Please contact Ann Hutchison at 330-745-1194, ext. 1430 or ann.hutchison@barbertonlibrary.org. The Barberton Public Library is a political subdivision of the State of Ohio as recognized under Ohio Revised Code Chapter 3375. As such, contributions to the Library, as described in Section 170(c)(1) of the Internal Revenue Code of 1986, are "charitable contributions" and are deductible under Section 170(a)(1) of the Code. Please consult your financial advisor for specific information.